We believe that every child deserves a loving, forever family. Are you with us? The every child deserves a family campaign promotes the best interests of all children in the foster care and adoption system by increasing their access to loving, stable, forever homes, and works to ensure safe and supportive care for lesbian, gay, bisexual, transgender and queer (LGBTQ) youth seeking family formation. 1. All child welfare decisions should be made in the best interests of the child. 2. All children and youth deserve a stable, loving, forever family. 3. Taxpayer-funded adoption and foster care service providers should not discriminate against youth, including LGBTQ youth in need of homes, or qualified LGBTQ potential parents or guardians. 4. Marginalized youth in the child welfare system, including LGBTQ youth and youth of color, deserve culturally competent, safe, and supportive care. 5. Discriminatory adoption and foster care bills must be stopped and repealed, at both the state and federal level. 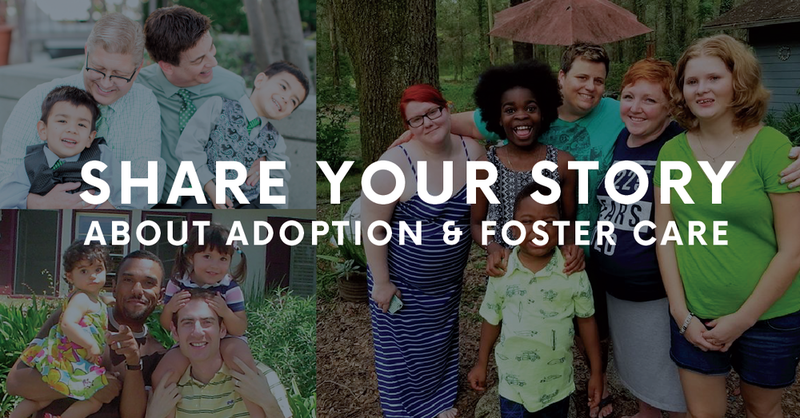 Share your story for an upcoming Congressional hearing on foster care and adoption!